Forty years ago, on September 11, 1973, the military forces commanded by General Augusto Pinochet, overthrew the democratically elected government of Chile led by Salvador Allende. Thousands of people were killed. Many thousands more were imprisoned. The coup d’etat was swift, brutal and merciless. It was carried out by the Chilean oligarchs with the active assistance of the United States. 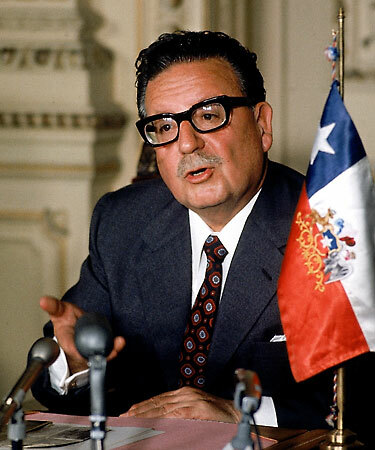 Overnight, the progressive social and economic measures introduced by the Allende government were overturned, condemning Chile’s working class to lives of poverty and oppression. Perhaps 500,000 Chileans were forced into exile, relocating to countries around the world. Several hundred found themselves in my home town, Winnipeg, where they have made significant and lasting contributions to the life of our city. This past month, the Winnipeg Chilean community, like many such communities in the Chilean diaspora world wide, has been commemorating the tragedy of Sept. 11, 1973 with film screenings, cultural performances and events such as the one I participated in tonight as part of a panel discussion that included former Manitoba Premier, Howard Pawley, former MP Judy Wasylycia-Leis, and Darrell Rankin, head of the Manitoba wing of the Communist Party of Canada. Each of us drew on our experiences to talk about the significance of September 11, 1973 and our memories of the solidarity movement with the people of Chile. What follows is the text of my remarks. Forty years is a long time to remember what I knew and when I knew it, but I seriously doubt that I could have located Chile on a map on the day that Augusto Pinochet seized power and destroyed so many lives. In September 1973 I was a student at the University of Manitoba. I was active in student politics and becoming aware of some of the forces that shape our lives. But our struggles were more local and immediate. For example, there was a strike at the U of M that year, and some of us looked for ways to support the people on strike. However, in time, our impulse to act locally led us to think more globally. Throughout the 1970s Winnipeg was fertile ground for many kinds of political activism. We had a vibrant anti-war movement. It mobilized support for American draft resisters, opposed the war in Vietnam and campaigned for nuclear disarmament. I think the first demonstration I attended had to do with American nuclear testing in Amchitka, an island in Alaska’s Aleutian Islands. This movement became quite broad by the early 1980s, with annual Walks for Peace that attracted up to 20,000 people. The anti-apartheid movement was quite active here in the 70s, supporting liberation movements in South Africa, Mozambique, Angola and what was then known as Rhodesia. The women’s movement was gaining strong momentum. There would be many victories in successive decades, including reproductive rights, equal pay for work of equal value, state supported childcare and the right of women to work in so-called nontraditional occupations. Environmentalism was being born in Winnipeg. It is interesting to note that the Amchitka nuclear test that drew me and a couple hundred other people to the US consulate in 1971 was a catalyst for the creation of Greenpeace. We can thank the Vancouver “Don’t Make a Wave” committee which sent a boat named “Greenpeace” to protest the blast and later adopted the boat’s name as their own. White progressives were waking up to the struggles of aboriginal peoples and getting involved in campaigns around mercury poisoning at Grassy Narrows, support for the Dene who were opposing the Mackenzie Valley Pipeline, and struggles led by the American Indian Movement related to the Wounded Knee occupation and the case of Leonard Peltier, who many believe was framed for the murder of 2 FBI agents in 1975. Relatively new to government, the NDP introduced some progressive reforms, such as public auto insurance and reduced medicare premiums. As a Party, it was more active in political education than it has been for many years since and published a newspaper for its members. To the left of the NDP we had, for a time, at least five revolutionary groups. To this collection of radical lefties we should add members of the New Democratic Youth, and former members of the Waffle movement that had been expelled from the NDP. We had at least three left wing book stores, and Canadian Dimension magazine, still published in Winnipeg, was enjoying its largest circulation ever. Also working for social change were a number of largely (but not exclusively) faith based organizations dedicated to international development and social justice. In a more secular vein, Oxfam, CUSO, and the IDEA Centre engaged in similar work. 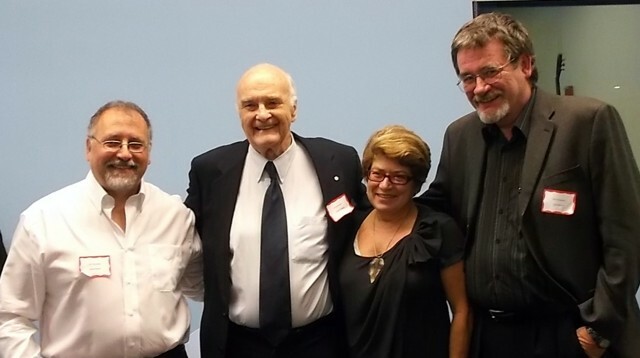 To various degrees, these groups were beginning to think in terms of solidarity and linking the struggles of oppressed people in the so-called Third World with those of people living in Canada. With the exception of the IDEA Centre, most of them continue to be active and make up the Manitoba Council for International Co-operation. I could go on, but I’m sure you get the picture. Winnipeg was, in the 1970s, politically progressive, diverse and vibrant. It was a welcoming environment for the refugees of Pinochet’s terror and one that was enriched by these newcomers. In 1975, when Chileans started arriving in Winnipeg, I had just begun working at the IDEA Centre. IDEA stood for Intercultural Development Education Association. Its mission was to promote support for international development. We were housed at 418 Wardlaw Avenue, in the company of like minded organizations, including CUSO, the Manitoba Council for International Cooperation and the Agassiz Food Co-op. IDEA offered a lot of things to a lot of different kinds of people. We operated a resource library that specialized in international development. We did programs with schools and held regular educational evenings, usually on Wednesdays, that were combined with a potluck supper. Our most useful function, I think, was that we provided meeting space, printing facilities and a welcoming environment in which a wide range of individuals and groups could meet, plan and organize. As the Chilean community began to form in Winnipeg, and as people found their bearings, the IDEA Centre was one of the places that welcomed them, worked with them and learned from them. Most of the Canadians with whom I worked in that period fell into one of two categories. One was made up of individuals who were motivated by faith-based or secular humanitarian values; we had little to no direct, personal experience of poverty, oppression, or repression; our understanding was largely theoretical. The other group included people who had traveled, worked abroad and witnessed poverty and abuse; in some cases they helped struggle against it. Others in this group had had similar Canadian experience. But our perceptions were conditioned by our largely middle class, privileged backgrounds. At the end of the day, we could go home to a relatively comfortable existence. The arrival of the Chilean refugees, and their participation in Winnipeg’s political life changed this. It enriched our understanding of solidarity. It made it real. Suddenly American imperialism wasn’t some abstract system directed by sociopaths we would never meet. Through our new Chilean friends we could learn what it was all about. It was no longer theoretical. It was flesh and blood. And this strengthened our resolve and deepened our understanding. My second observation has to do with the Chileans themselves. Like all newcomers, their first priority was getting oriented, learning English, finding jobs, decoding Canadian culture and coping with all of the stress that this involves. Add to this the need to recover from the trauma of the coup, of prison and torture, of having to uproot and flee, of losing their friends, families, homes, communities and country. You have to ask where they found the energy to not only survive, but to reach out and participate in the political life of their new community. Not everyone was able to manage this. But many were, and their solidarity work went beyond resistance to Pinochet’s military junta. In the years that followed their arrival in Winnipeg, US backed governments carried out vicious repressions rights across Central and South America. If there was a solidarity committee for any of these struggles operating in Winnipeg you could be sure to find at least one Chilean on it. In 1980, I had the privilege of being able to travel to Nicaragua with a group of solidarity activists from across Western Canada. At least one third of the group were Chilean Canadians who had worked hard to support the Nicaraguan revolution. They understood, better than most, that freedom for Nicaragua would contribute to the same in their own country and throughout Latin America. History has shown they were right. Latin America is much less dominated by American imperialism than it has ever been. Three days later, in Winnipeg, there was a demonstration at the US Consulate, then on Pembina Highway. Several hundred people participated. Rather than arrest the militia goons, the police began arresting demonstrators. Six were arrested and many more were roughed up. Four of those arrested were Chilean. Now, this little statistic could be used by folks uncomfortable with refugees as evidence they are troublemakers. Having been an active participant in that demonstration and the subsequent defence committee, I see things differently. That was the spirit of the Chilean community in Winnipeg in those early years. A spirit of resistance to oppression. A spirit of resilience. A spirit of courage. I think this spirit lives on and continues to inspire all of us.